Which of us has thought about building their own house? 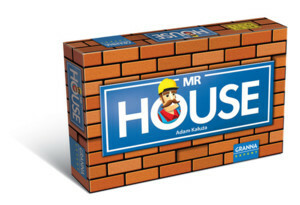 Now we can construct our dream house from wood and cardboard in the game Mr. House! The difficulty of doing so, however, will be much the same as in reality! Players must manage a budget and construction teams, buy materials on the market, and plan the sequence of work — all while time passes! In this economic, worker placement game, whoever creates the most beautiful home wins!